Google continuously works to enhance their algorithm to index content around the web. Since the content that is delivered by Ajax doesn’t generate different pages (URLs), it is meant to be non-seo friendly. The issue with that is more and more of the best content is being generated by Ajax. 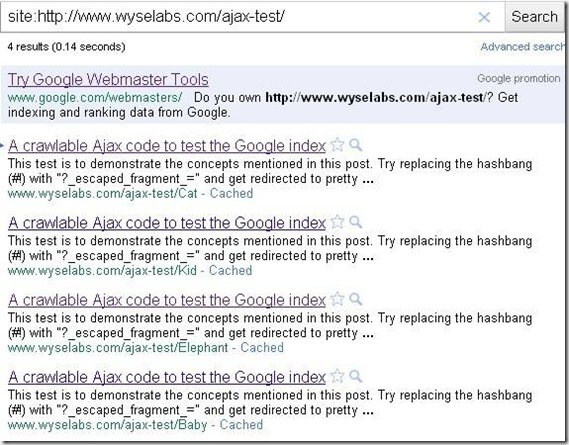 Google now realizes this and has finally announced how you can index your Ajax content. Developers use “hash” tags (#) as a part of URLs in anchor texts to distinguish the content from the rest of the website. It's great for users, but search engine spiders usually cannot understand it. For Google to crawl your Ajax content, they require hash (#) and exclamation point (!) which is together named as “Hashbang”(#!). See how it is implemented in example. Google will list the new URLs in SERP (without hash or hashbang). We at TechWyse are always researching and testing new tools. 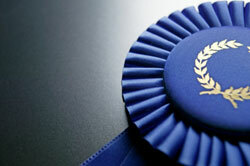 We have successfully completed our Google Ajax index test! Below is the outcome to show how our Ajax content is crawlable. 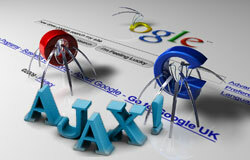 A single paged Ajax website has been indexed as four pages in Google. 1) Only the Google algorithm can understand and cache as different pages whereas other search engines currently do not. 3) Unique Meta tags cannot be implemented for the pages that contain Ajax content, so you will be losing weightage in many other search engines. Elan has been applying his Internet Marketing and Web Analytics skills for over 11 years and has been sharing some of that experience here on the TechWyse blog! Hi Elan, more than a year of this publication know, but what I know is that link you comment on how to configure the server. Can not find it, where is it? 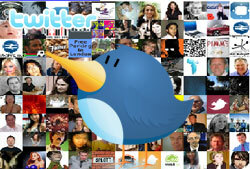 I hope you can tell me, because I have problems with my site _escaped_fragment_ (http://goo.gl/OgSZ9). Google will be able to crawl and index only with hashbang, but then it shows the pages in their index without hashbang. You can check with the pages that you tested. Analytics, pages cannot be tracked individually. But event tracking (or virtual page views) is to track this. Appreciating for a nice article on Ajax crawling..
in their document itself google saying that they will index the #! url instead of escaped fragment one, and i got succesful in doing this. but you guys saying getting indexed without hashbang.. How?… through redirecting all urls with 301??? And waht about analytics. Can we get the site traffic normally tracked something like a pure html site? Great examples Elan ! 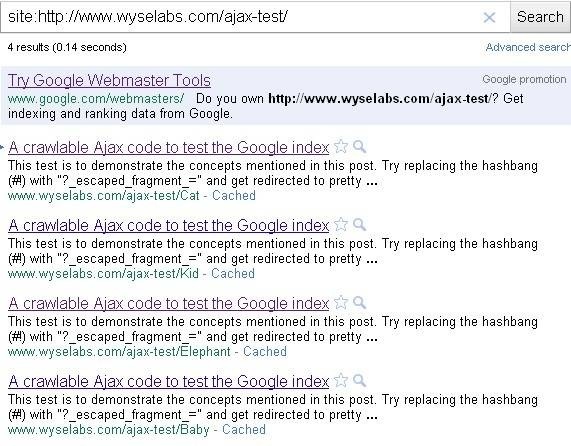 While doing such programs in ajax we need to make sure not just that hashtags are changing but accordingly contents are changed when clicking from SERPs. Need to program considering this in mind otherwise hash tags will be different but same contents. Also this applies only to Google. 1) Definitely its going to be same for mobile devices. 2) It can be used in all scenarios wherever you deliver content with ajax. First of all, Congrats Elan for completing the Ajax test and Thanks for this awesome post. 1. Will this proposal be effective for mobile devices as well? 2. What scenarios should we be using the “AJAX Solution” (is there any specific scenarios) ? Google is really harnessing the power of Ajax for their Google Instant too… Elan your post is really eye opening in this regard on how to use the Ajax for an SEO Perspective ..